Asymmetry poses questions about the limits of imagination and empathy—can we understand each other across lines of race, gender, nationality, and power? The fluttering way in which Halliday pursues her themes and preoccupations seems too idiosyncratic and beautiful to summarize ... The book richly considers the diffusions of life into art, of my consciousness into yours. It is also a musical document, with characters that play the piano or devote a great deal of energy to considering which CDs they’d want to bring with them to a desert island. Like music, Asymmetry possesses the mysterious quality of a created thing moving through time, expressing its own patterns, its meaning subsumed in the shifting symmetries of its form ... Asymmetry stops short of arguing that novelists can leave themselves entirely behind; no person has the power to turn a mirror into a rabbit hole. 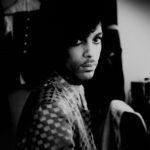 The book does, however, evoke how our lives can sometimes blur with the lives of others, how a stranger’s features can occasionally ripple up the glass like an arpeggio. Halliday’s novel is so strange and startlingly smart that its mere existence seems like commentary on the state of fiction. One finishes Asymmetry for the first or second (or like this reader, third) time and is left wondering what other writers are not doing with their freedom ... Halliday’s prose is clean and lean, almost reportorial in the style of W. G. Sebald, and like the murmurings of a shy person at a cocktail party, often comic only in single clauses. It’s a first novel that reads like the work of an author who has published many books over many years ... Halliday has written, somehow all at once, a transgressive roman à clef, a novel of ideas and a politically engaged work of metafiction. Asymmetry is extraordinary, and the timing of its publication seems almost like a feat of civics. The novel shifts from one surreal adventure to another … [The] subplot develops the theme of true madness so that it can be understood in the main plot, which is otherwise simply full of stupidity, or folly … The stories of Alice and Amar hang, of course, in asymmetrical tension. One is born lucky, one not so much. Both are American, but one was once Iraqi, and so is subject to a total recategorization by ethnicity. Crucially, Alice’s world is an unreal adventure, while Amar’s is totally concrete. 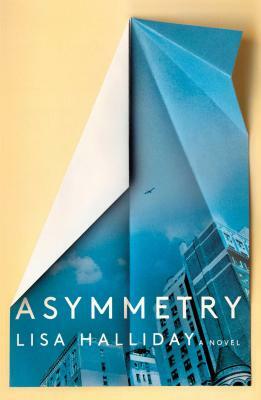 Asymmetry is a debut burnished to a maximum shine by technical prowess, but it offers readers more than just a clever structure: a familiar world gone familiarly mad. What did you think of Asymmetry?